We are thrilled to announce Tom Tinlin’s promotion to Associate. As our Director of Institutional and Private Markets, Tom has strengthened our ability to advance projects of all sizes from vision to reality. A true collaborator, Tom calls HSH the “one-stop shop,” as he works with our team to ensure that our transportation planning, civil engineering, public involvement, and construction management teams work seamlessly for our clients. Tom’s communication skills are second to none, helping our clients and the public understand complex technical issues by condensing technical jargon into easily understood plain speech. 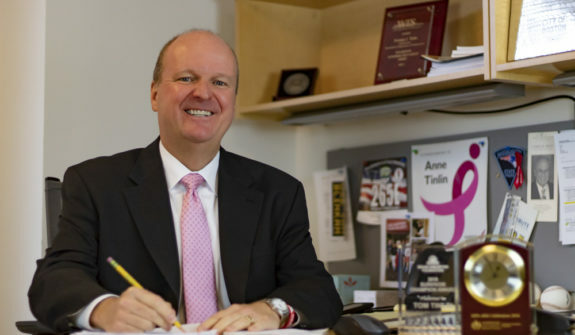 With almost 30 years of public sector experience, including service as MassDOT’s Highway Administrator and Commissioner of Boston Transportation Department, Tom has a unique understanding of the political waters and how to navigate them on behalf of our clients to better realize their vision. Furthermore, Tom is committed to delivering cost-effective, pragmatic solutions to the challenges we face. Please join us in congratulating Tom on his promotion to Associate! Click here for more information on Tom.